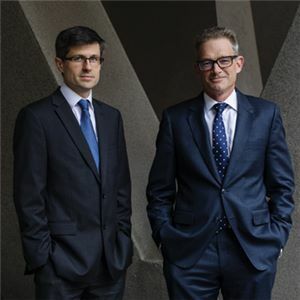 Global engineering and infrastructure advisory company Aurecon has continued its aggressive move into consulting services agreeing to acquire the 70-person global asset management business Quartile One. Quartile One is a key player in the recent resource sector’s use of data analytics to tightly manage physical and other infrastructure assets to meet the performance and pricing challenges of the commodity markets. The acquisition is expected to be complete by July 2019. Aurecon Chief Executive Officer William Cox said the acquisition is part of Aurecon’s rapidly growing Advisory business that now comprises 1000 people and has delivered 26 per cent growth in revenue over the last financial year. “Across the globe, asset owners are facing the ever-increasing challenge of balancing existing service levels, asset performance, risk and expenditure over their asset life cycles. Quartile One has unlocked incredible value for the mining industry and Aurecon intends to expand these successful asset optimisation strategies to asset-rich businesses across sectors such as energy, water and telecoms,” said Mr Cox. Aurecon Managing Director – Advisory, Brad McBean continued: “Aurecon believes there is enormous potential for organisations with complex assets to improve their performance through better management of the life cycle of their assets by using advanced analytics and Aurecon’s traditional engineering advisory strengths. “With the growing digitisation of infrastructure, organisations in the energy, water and telecoms sectors, in particular, could benefit greatly from Quartile One’s data analytics methodologies. These enable asset-rich organisations to extract greater value from their physical assets through data capture, synthesis and application of insights to technically complex operational environments,” Mr McBean said. Australia’s world-leading expertise in resource-based asset management can be seen in Brisbane-based Quartile One’s recording of 65 per cent year-on-year growth over the past three years, and delivery of nearly 600 asset management and technology-related projects in more than 20 countries. Building on its global success, Quartile One has measured and collected asset performance and operational data from mining sites around the world, resulting in the largest data driven study of the mining sector ever conducted. This ongoing study challenges the drivers of high performance and demonstrates how digitisation and data analytics can positively impact business outcomes for asset-rich organisations. “We are very excited about the opportunities this acquisition presents and I welcome all members and clients of Quartile One into our business. We are looking forward to collaborating closely and anticipate once clients understand the savings and value that these new digital methodologies can deliver, we will see the rapid growth of this practice continue,” said Mr McBean. Quartile One Chief Executive Officer and founder Rob Beckman said that they were attracted to Aurecon’s broad client base, geographical reach and deep technical expertise in the energy, water, telecoms and social infrastructure sectors, and believe joining with the global engineering and infrastructure advisory company will enable execution of their methodologies on a large scale. “We continue to see people struggling to make value-driven asset management decisions, potentially costing them tens of millions in lost value for any one decision,” Mr Beckman said. “Both public and private organisations are faced with the challenge of managing assets well in a changing environment. Our approach involves utilising data analytics to provide companies with insights and, in turn, better decision-making visibility to drive better value for the organisation. “We are looking forward to working with Aurecon and applying our methodologies across businesses on a much larger scale. The potential for generating true value for clients here is exciting,” concluded Mr Beckman.